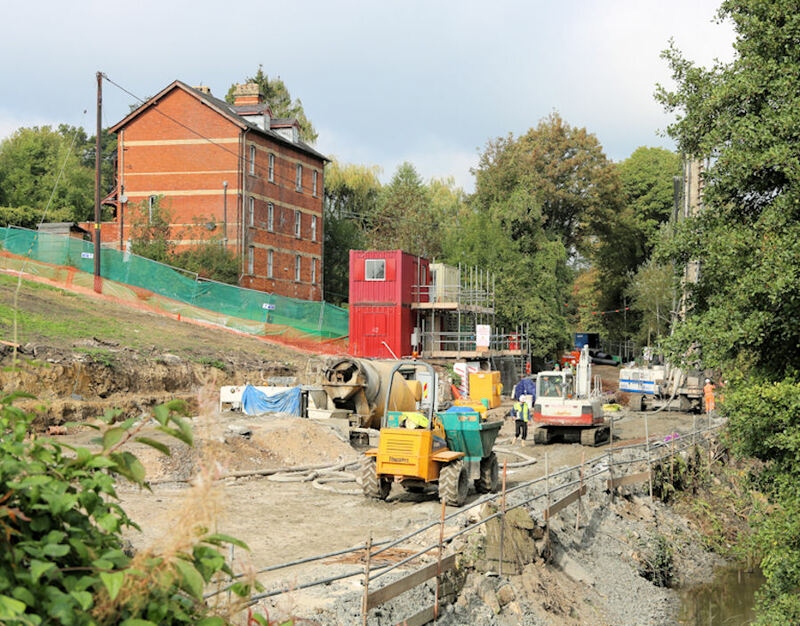 Visitors to the CCT Visitor Centre at Wallbridge Lock have been expressing interest in the recently commenced housing development, to be known as Bowbridge Wharf, at the foot of Butterow Hill in Stroud. Newland Homes welcomed the Cotswold Canals Trust news gathering team visit to the site on Monday 29th September. The ecological enabling works are now complete. Steve pointed out the one metre high green rubber barrier stretched along the edges of the site. “The old building just inside the site was known as Hollands Row. Bats had set up home inside; so we constructed a bat roost high up on the bank. We followed the Natural England guidelines to encourage the bats to move a few metres along the site to the new roost.” See picture 2 right. A ten metre high pile drilling machine can currently to be seen on site. The Doncaster based piling team are busy drilling 30 feet deep holes for 138 contiguous concrete piles. 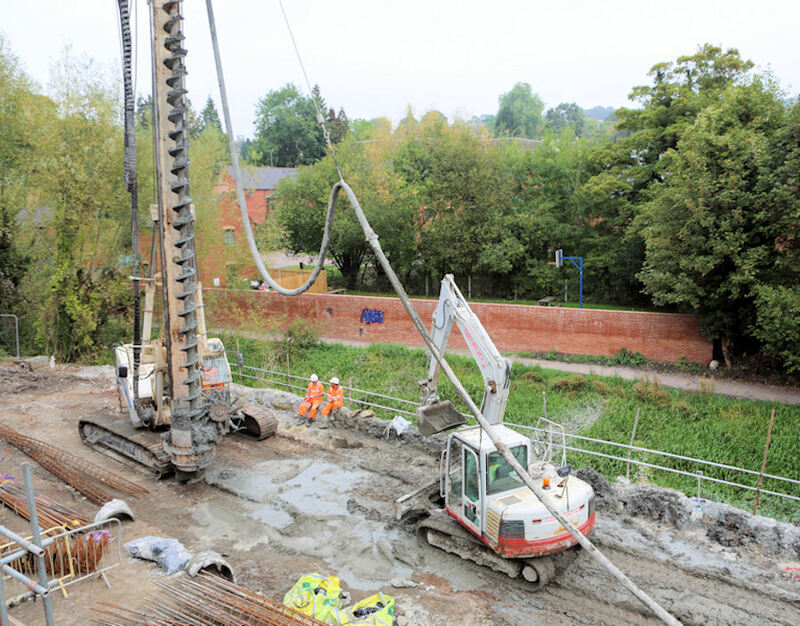 The eighteen inch diameter, steel reinforced concrete piles will provide the wharf edge support alongside the canal for the full length of the development. Newland Homes offered reassurance regarding any side effects of this drilling. The team discussed that this process obviously produces a large amount of excavated material. Any material which spills into the canal will be removed. 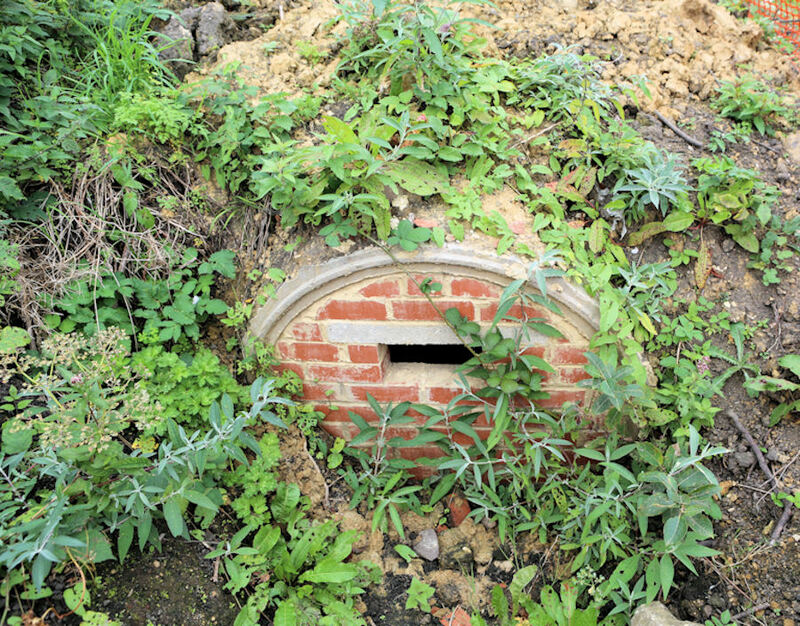 A condition of the planning permission was that they should enter into a Section 106 agreement to excavate the navigation channel to a depth of 1.2 metres. Newland also contributed the cost of material used in creating the newly surface towpath opposite the site. 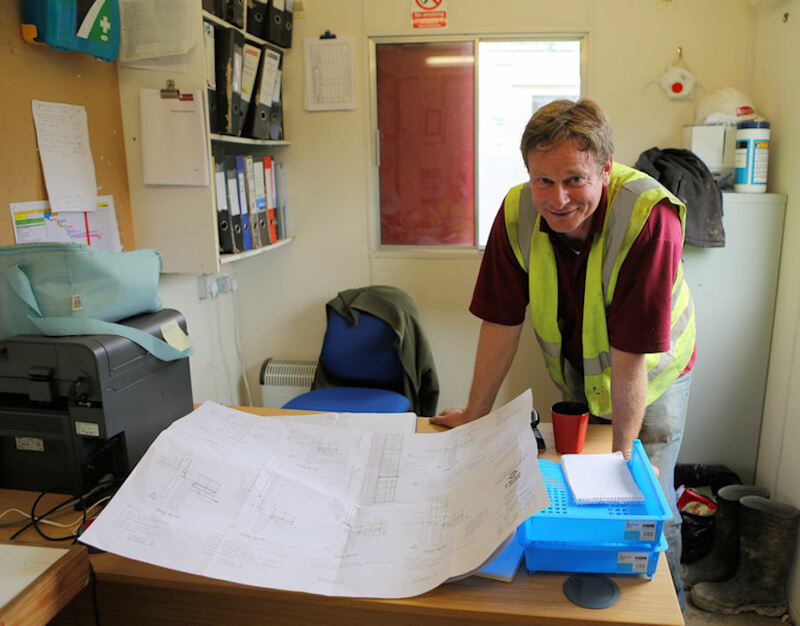 Bentham based contractors Galtec Ltd. are engaged on other groundwork. But that is not the only local connection! Steve Randall smilingly revealed that his family hale from the Stroud Valleys. He demonstrated this family connection by relating a brief history of the lawn mower, adjustable spanner and five shot revolver. Edwin Beard Budding was the inventor of all three and was well known around the woollen mills of Stroud in the mid-1800s. It seems that Steve’s mother’s side of the family are part of the Budding dynasty. Chris Parker and Steve Randall have undertaken to keep us informed on the progress of the new Bowbridge Wharf.